911uk.com - Porsche Forum : View topic - I’m back in a 911!!!.. 996 C2 project begins. 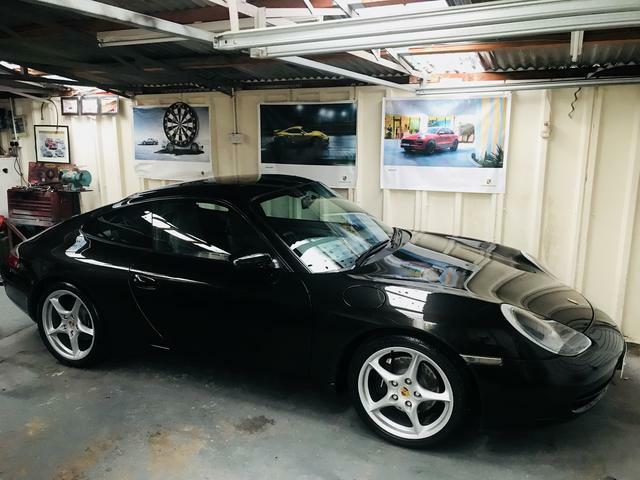 911uk.com Forum Index > 996 (1997 - 2005) > I’m back in a 911!!!.. 996 C2 project begins. It is and also the oldest known Golf GTi which is lent to VW. The finest collection I have ever had the pleasure to view. I was trying to pic a favourite as I scrolled though, but I couldn't. Your car looks every bit as good looking as some of the more expensive stuff in your pics. Very nice. I'm glad it's serving you well. Nice Golf G60 & pair of Golf Rallyes too! Had both & wish I still had them. A Tresser quattro like that used to park next to me in Aberdeen city centre regularly. I can’t believe that’s a Porsche Centre. Looked like a museum! For me the ultimate collection. I have been so busy that I have barely looked at my car for weeks never mind drive it! Still looking ace! Squeaky clean. I still can’t decide on those wheels though? I'm with you mate. Jury's still out for me. Ps. I love it when people say thev've been "busy"
Can mean so many things. The silver GTi is 'better than VW's own' apparently and the guys at Wolfsburg borrow it when they want a nice display car. The red GTi is one of the original development cars. Loving the custom cars like the 944 shooting brake and all those Audis!! I’ve tinted my number plates with film. I know this won’t be for everyone but I think it suits the black bodywork. The screw cap covers will be replaced with dull stainless pan head screws. 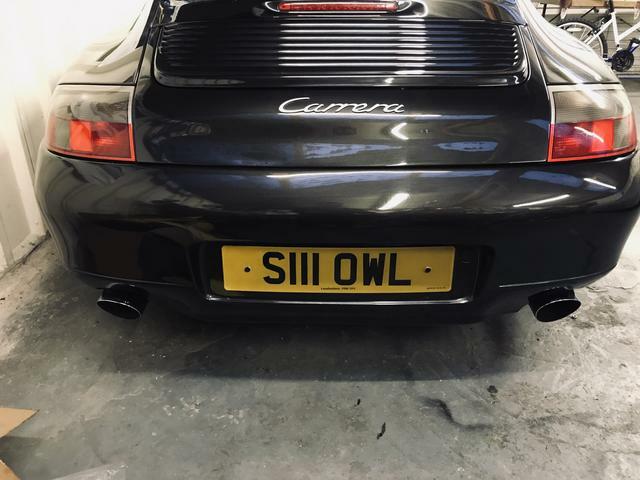 Its hard to see the difference in a photo particular the rear because of the garage light. Looks good to me and it will certainly help keep them looking new, you can just replace the film to get rid of all the bugs and stone chips. What film did you use?